We go there for either lunch or dinner, once every month. The serving staff are already quite familiar with us. On last month’s visit, it was a particularly busy night. Friends were going to meet us there so we asked for a table for four. To our surprise, when we were ushered to the next available spot, it was only for two. Apparently, the lady assumed we only needed a small table because she got so used to seeing just us two regulars. For sure they don’t serve the best in Japanese cuisine in Metro Manila. But they serve decent food, at a really good price point. And most important of all – they have an eat-all-you-can promo for food that you order ala-carte. I am thankful for Zensho, for all the comfort its food has brought us on every single visit; and for the all-too-familiar setting we love going back to specially when we need to do some stress eating! **This post is still part of my 30 Days of Thankful series. As a former BDJ Bella, I used to carry a Belle De Jour planner everywhere. 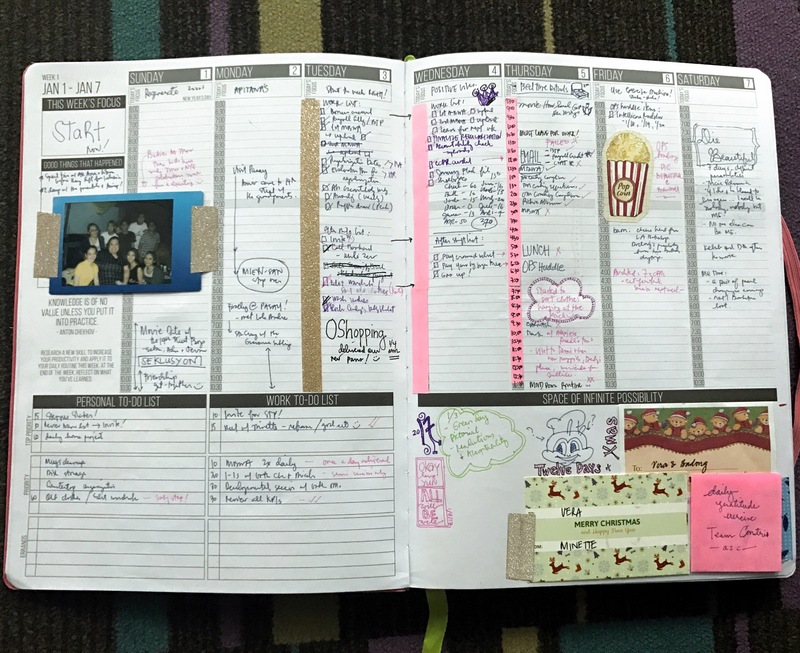 My first impressions of the planner were published in this post. I liked the BDJ planners for all the extra pages and features it had. I particularly benefitted from the Cash Flow and Bill Trackers. Talk about adulting huh?! Although I don’t really plan by-the-hour, I found that making lists helped get me on track. I even wrote about Lists on the BDJ Blog! The monthly inspirational pages, and the quotes all over the pages were also nice to have. I missed having those when I decided to ditch planners and use a handy notebook ala Bullet Journal instead. 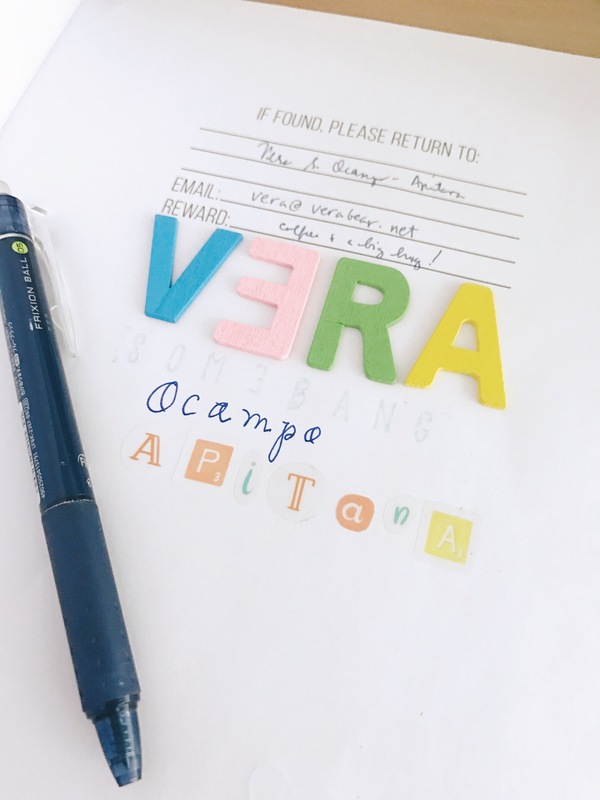 But my pilit Bullet Journaling days are over. The only BuJo tip I really followed was to add page numbers and maintain a table of contents. I am a Passion Planner Kickstarter backer in their 2014 campaign. I liked CEO Angelia Trinidad’s story and vision. Being a backer gave me access to the PDF printables of the various pages they had available. Right after my wedding, I printed out the Mind Map pages and sat with my husband for a visioning exercise. It allowed us to really think about what we wanted to focus on and understand the steps we need to take to achieve our goals. Of course, the real action doesn’t stop there and is another story altogether. Before 2016 ended I had been thinking a lot about how to further up my game. I wasn’t completely satisfied with how I’d been leading my life. Sure, I have a good job, and a happy family life, but I felt that I could do more each day. I had been pushing my team at work to make their game plan a tool for success, but I felt that I didn’t have a real overall game plan. 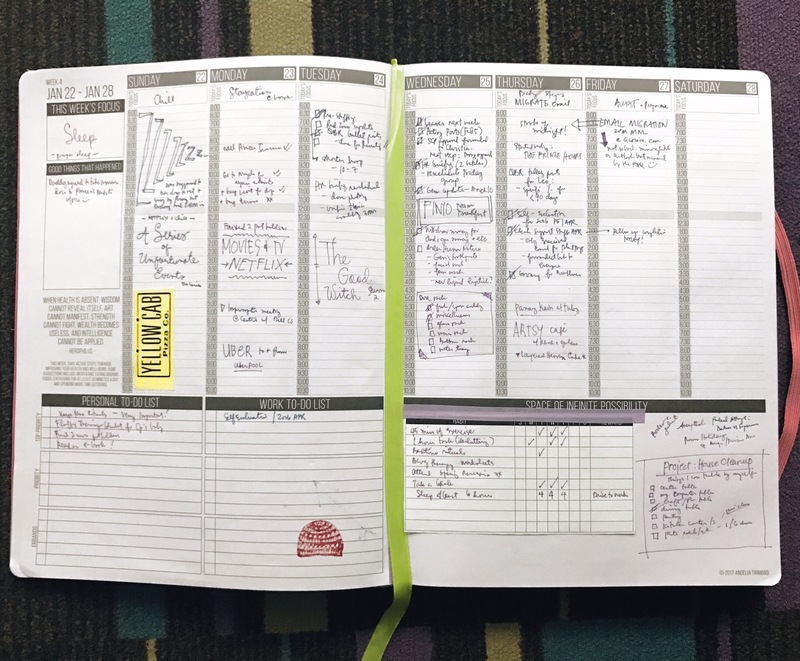 I considered several options, including Elise Cripe’s Get To Work Book, but the cost of the planner plus International shipping was a big issue for me. Finally, a backer’s sale plus a deal on International Shipping just before the year ended made it easy to choose the Passion Planner. My choices were the dated Birds & Bees Blush Classic, and the undated Paradise Blue classic that starts on a Monday. Why 2? One is for next year, but if the wind blows in another direction, I may decide to give it away, Hah! We’ll see. A new edition was released in March and it is taking all my self-control to keep away from carting it. The Lavender Bliss. It doesn’t just come in my favorite color, but it also has a Mandala-themed cover design; and, each purchase is matched (1:1) by a donation of planners to organizations that help raise awareness on domestic violence. You can learn more about the different editions at the Passion Planner Shop. 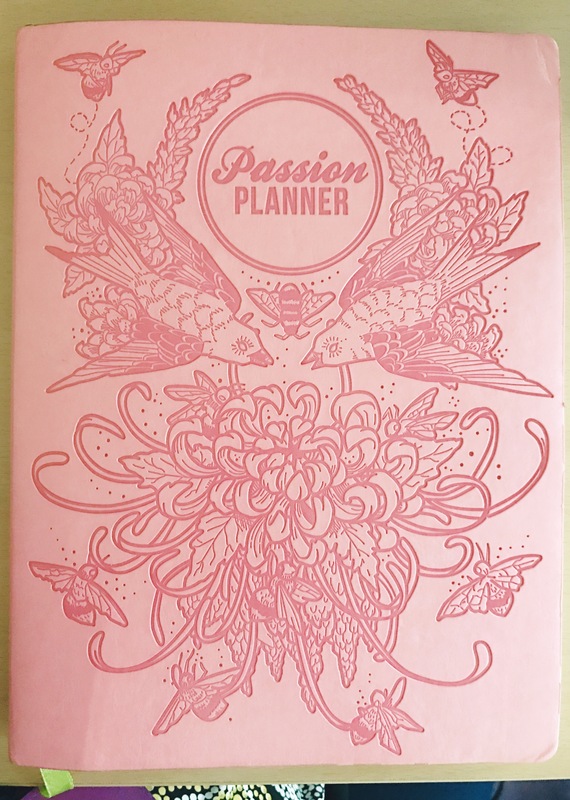 Their mission of giving one planner away for each planner purchased isn’t limited to the Lavender Bliss. 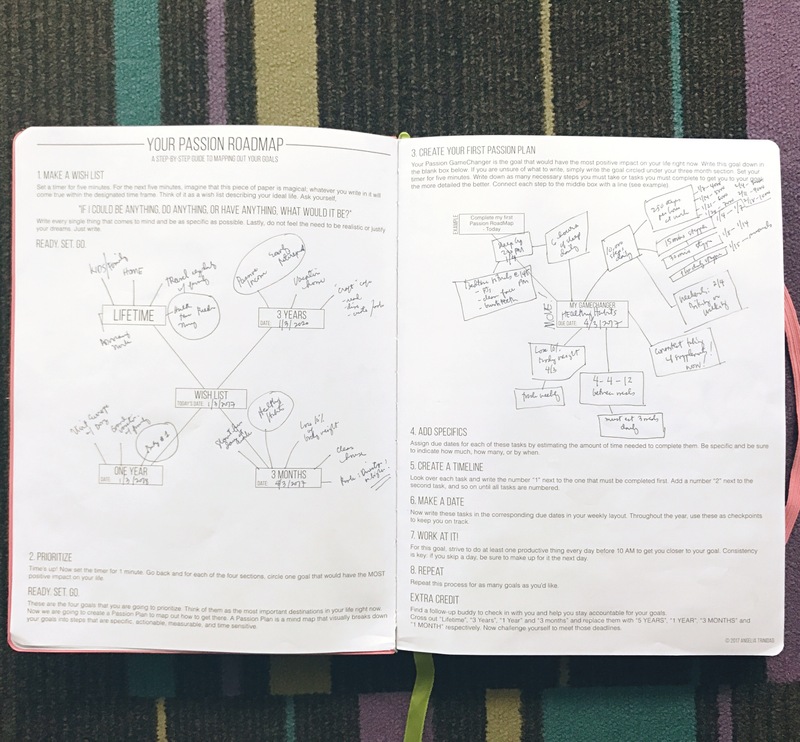 The Limited Editions sold just determine which groups receive the free planners, but overall they believe in giving back to the community the best way they know how: by providing people a tool that encourages them to go out and reach for their goals and make their dreams come true. I love that about this company. 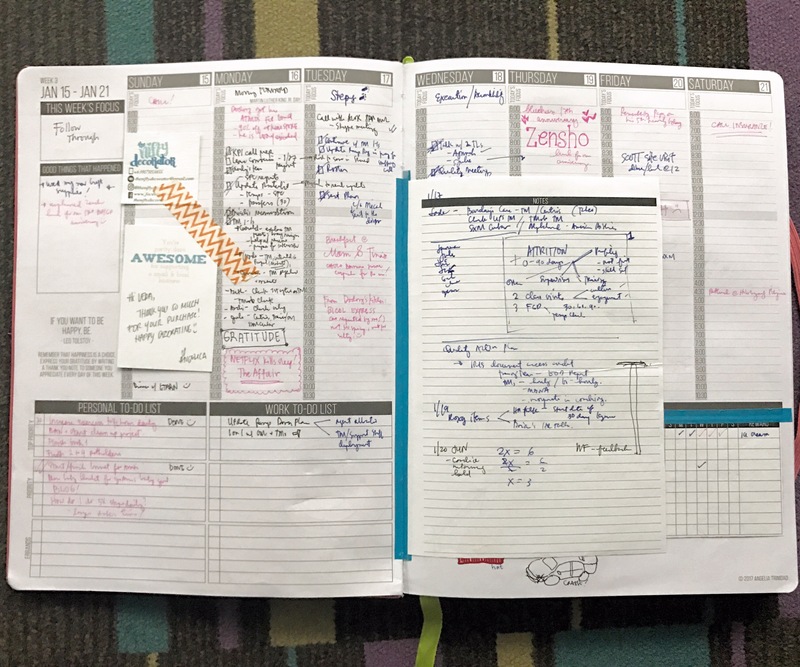 The Passion Roadmap is also a big reason why I love my Passion Planner. It’s not just the pages, but the process. Because of the mindmap I was forced to really think about what I want. And to examine whether I am spending time towards the pursuit of my goals or if I am wasting it on things that don’t really matter in the long run. The process forces you to be SMART about your goals too. The Monthly Reflection helps in accountability, but also allows you to reframe your thoughts and actions if necessary. 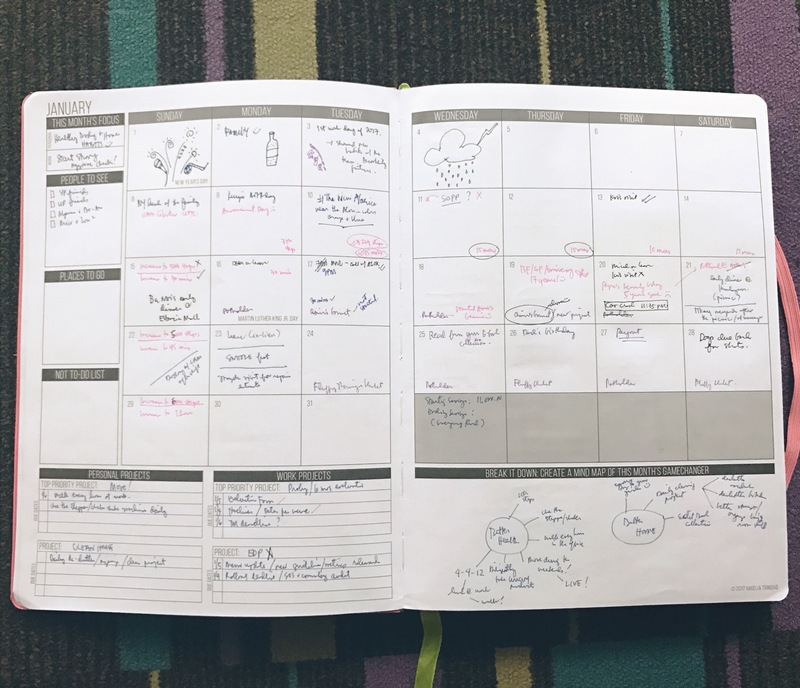 The company behind the Passion Planner has done an excellent job harnessing the power of social media. They have built a vibrant community and they continue to spread inspiration through their Website, YouTube channel, and Instagram. 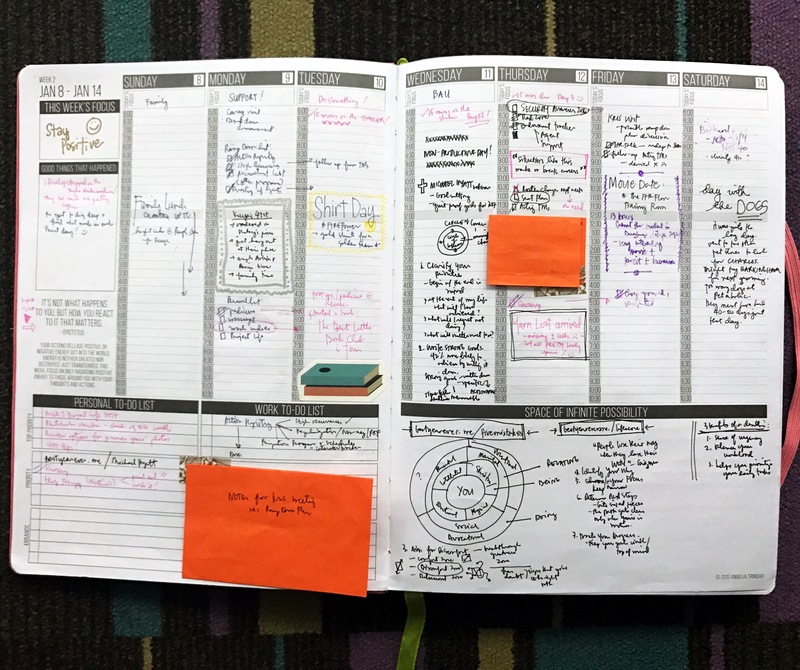 I love spying on other people’s weekly or monthly layouts as featured on their feed. They also share tips and just a lot of motivation too. If it isn’t obvious yet, I really love my Passion Planner. I am using the classic size, which I realize is huge, but I can’t imagine having enough space on the compact version. I’m sharing my January pages to close this post, but know that it’s now the first of April and I am still loving everything about it.